As an avid gardener as well as a chicken keeper, I love having all that nice nitrogen-rich chicken manure for my vegetable garden each spring. 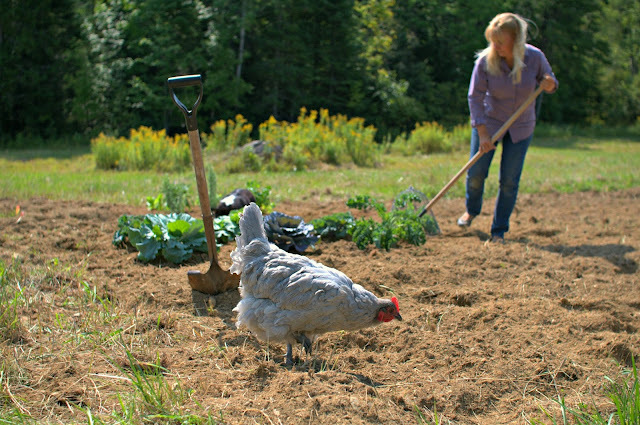 Chicken manure is one of the best garden fertilizers you can use on your garden. In addition to being high in nitrogen, it's higher in calcium than other types of livestock manure. And of course, unlike commercial products like Miracle Gro, it's all natural and safe for your family, plants and the environment. But there are a few caveats you should know before you start using your chicken manure in your garden. Since any livestock manure likely contains pathogens like salmonella, E.coli and other icky disease-causing organisms, it's important to let it age before using it on edible crops. Three to four months is the minimum recommended, and closer to six months is more conservative. When you clean you coop, tossing the litter into your compost pile is the easiest way to recycle all that wonderful straw, shavings, manure, and even chicken feathers. In the fall when I clean out my coop before winter, I spread the coop litter right on my garden since I won't be planting for at least six months. That gives the manure enough time to lose much of its moisture and stop producing the pathogens (they don't multiply and thrive in conditions that lack the correct moisture and nutrients) and also gives all the nitrogen in the manure to seep into the soil. "Hot" nitrogen can burn plant leaves, so that's another good reason to let your chicken manure age before using it in the garden. The ammonia fumes and nitrogen levels in fresh manure are greatly reduced in just 4-5 weeks time. I also let my chickens into my garden after the final harvest in the fall. They love to clean up anything left over, and also are helpful in eating any bugs planning on overwintering in the soil. 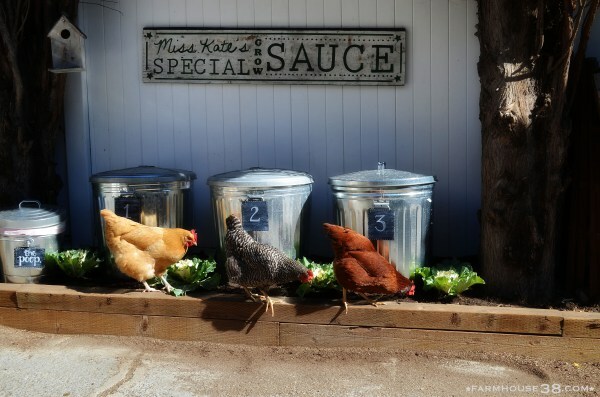 In the spring, before I plant my seeds or seedlings, I again let the chickens into the garden. They will gobble up an weed seeds and bug larvae they can find, and their scratching also helps to aerate the soil. Also, since they poop pretty near constantly, they help to fertilize the soil as they roam. Contrary to what I just wrote, I don't worry about this little bit of manure in the garden. 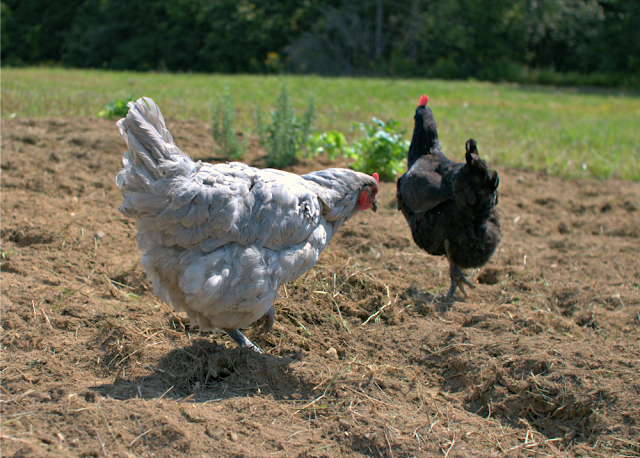 Once the chickens are done, I just turn over the soil with a rake and go about planting. While I wouldn't pile fresh chicken manure onto my plants, a little bit here and there in the garden isn't going to hurt anything (and anyway, it's always good to wash your produce and your hands when you return from the garden). But all this chicken manure really increases the nitrogen levels in the soil. And that's not beneficial, since it throws the makeup of the soil out of whack. A many of you likely know, garden fertilizer needs to be balanced for optimal plant growth. Composted poultry litter and manure are rich in some plant nutrients, but low in others. Using chicken manure alone won't provide your garden all it needs to prosper, and using "regular" commercial bagged fertilizer along with your chicken manure will likely result in too much nitrogen in the soil, which can lead to excess foliage growth in the plants. This comes at the expense of poor root growth and fewer flowers which means less fruit on the plants. I don't use any commercial fertilizer on my garden, relying solely on our chicken manure, straw and feathers from the coop and other organic material that I compost such as leaves, pine needles and the like. 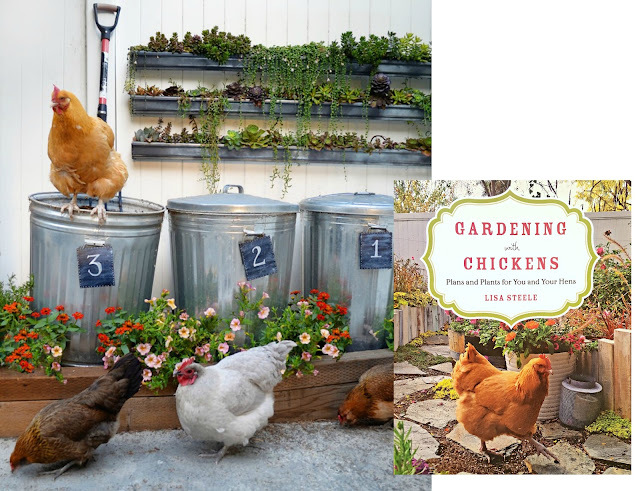 If you are interested in learning more about composting and different ways of using your chicken manure in the garden - including how to make chicken poop "tea" and how to use the deep litter method in your winter coop - pick up a copy of my book Gardening with Chickens. There's a whole chapter devoted to composting! Gardening with Chickens is available from Amazon.com, Barnes & Noble, and various feed stores and garden centers around the country.